An international team of scientists has used cutting edge imaging techniques to reveal the tricks of the trade employed by the modern master painter Pablo Picasso and provide unique insight into the artist’s creative process. 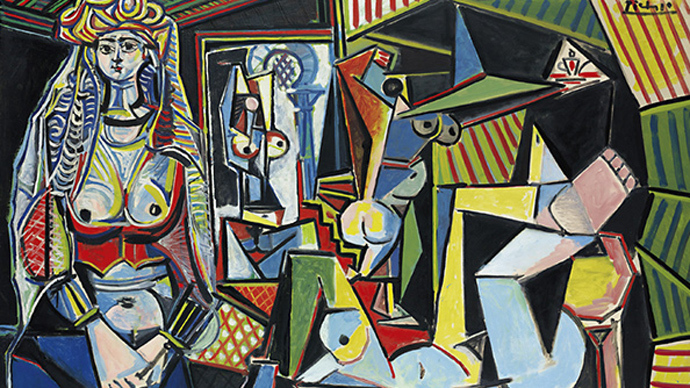 In 1957, Picasso pondered whether x-ray technology might one day reveal the secrets of his technique, reports National Geographic. 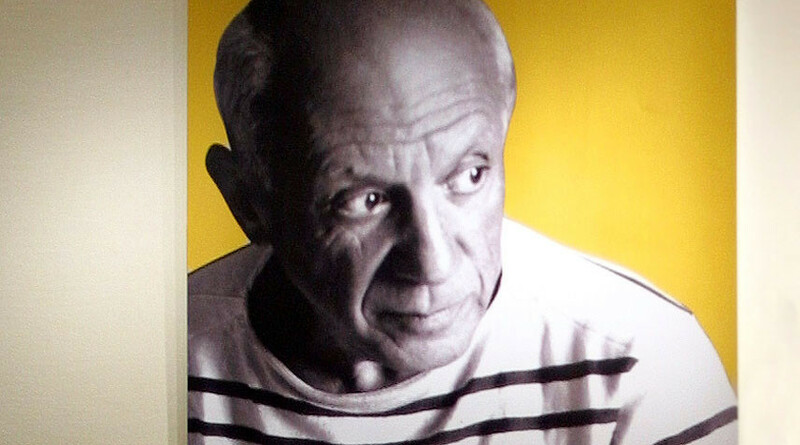 Now, teams from the Northwestern University/Art Institute of Chicago Center for Scientific Studies in the Arts (NU-ACCESS), the Art Gallery of Ontario (AGO), and the National Gallery of Art, Washington appear to have proven him right, though they did employ some slightly more sophisticated methods than just standard x-ray scans when deciphering the mysteries of Picasso’s ‘La Miséreuse accroupie,’ or ‘Crouching Woman,’ painted in 1902, during the artist’s Blue Period. The teams used fiber-optic reflectance spectroscopy scans to image the painting at various wavelengths, ranging from the near-infrared to the infrared, in addition to an x-ray fluorescence tool, which excites the elements of each layer of pigment in the painting. 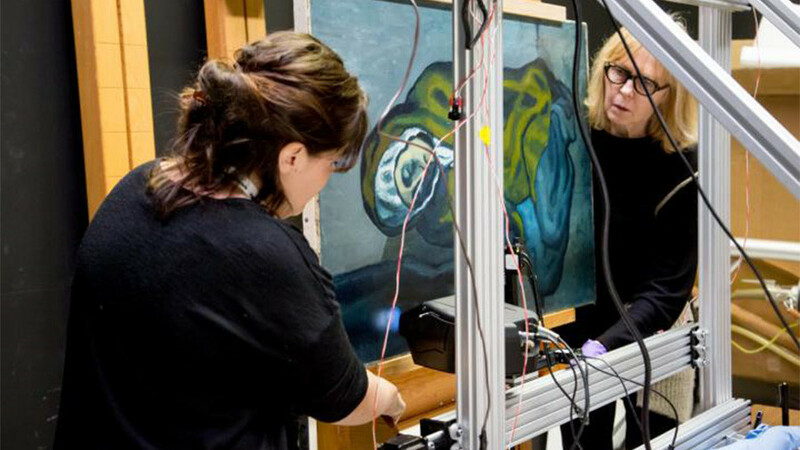 Throughout the scanning process, the teams discovered a previously known but unrelated landscape beneath Picasso's painting. Picasso painted over the previous work after rotating it 90 degrees to the right and incorporated some of the contours and features of the landscape into his own final composition, blending cliff edges into the woman’s back, for instance. The mystery landscape was recently identified as the Parque del Labertino de Horta in Barcelona. 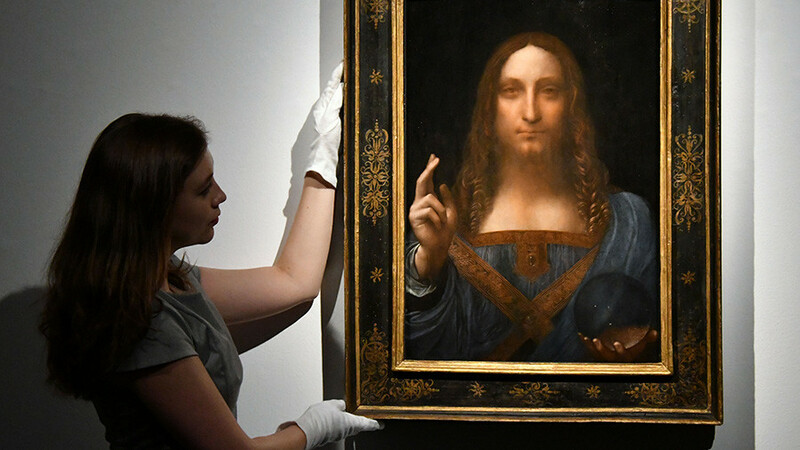 “We think now it’s a landscape painted by someone enrolled at the fine arts academy in Barcelona, someone in Picasso’s orbit but not in his close circle,” Kenneth Brummel, the AGO’s assistant curator of modern art, said. 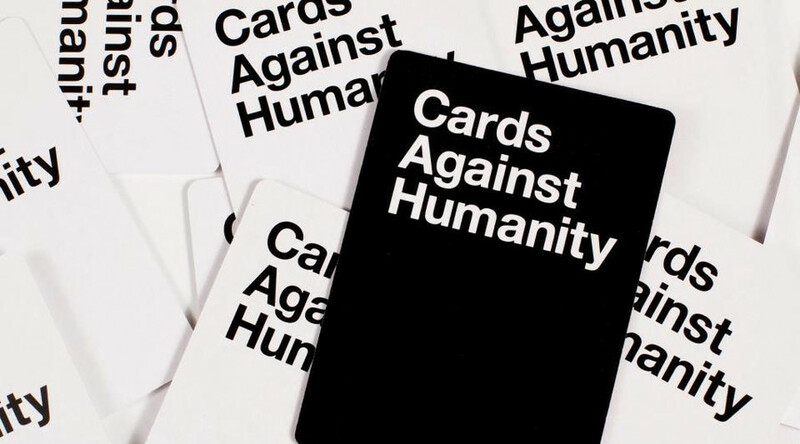 “He didn’t scrape the canvas or put a preparatory layer over it. Picasso saw this landscape, found inspiration, and decided he was going to paint it, immediately.” Similar discoveries in Picasso’s work have been made previously, though using different techniques. 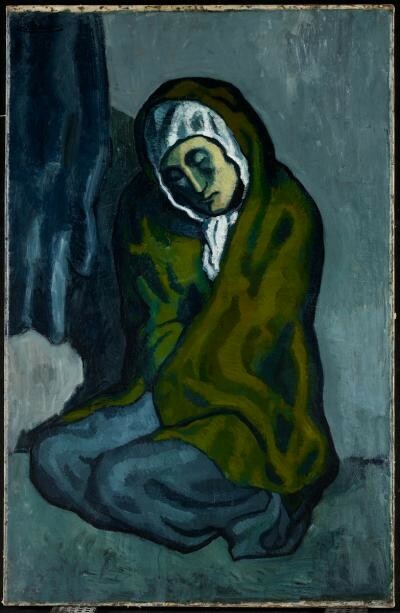 The researchers also discovered that Picasso had initially painted the ‘crouching woman’ with a right arm and hand holding a disk but later covered them up with a cloak in the finished piece. Even the masters can make mistakes, it seems. “After seeing the lead map from the XRF scanning, we were able to make a map of pigment lead white, which, when overlaid with the false color infrared, gives a more complete image of an upstretched arm, sleeve, disk and fingers,” John Delaney, senior imaging scientist at the National Gallery of Art, said in a press release. “We can see that he was wiping off the paint and working to position the fingers,” Walton added.